Amanda Segilia, CNM is a 2004 graduate of Columbia University’s Nurse-Midwifery Program. 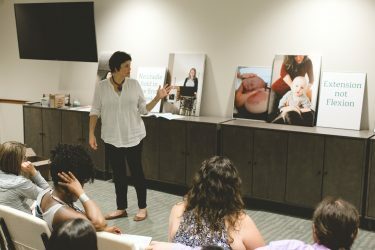 Prior to joining the Midwives of New Jersey, Amanda worked in private practice in New York City with Midwifery of Manhattan and CBS Midwifery for a total of 14 years, attending births in both hospital and Birth Center setting. Amanda had the unique gift of witnessing her own mother give birth to her youngest sibling at the very influential age of 13. It was then when she realized that birth and women’s bodies were nothing short of amazing. While she pursued her undergraduate studies in Anthropology, her experiences with international health and medical anthropology cemented her path to midwifery, as she understood more about both the cultural and clinical importance of safe and satisfying birth. While attending graduate school for Midwifery, Amanda worked as a labor and delivery nurse in NYC and also trained in a home birth setting providing care to Amish and Mennonite families in rural Pennsylvania. She continues to be inspired by birth, yoga, and her dynamic husband and children, and hopes to share this energy with the families she cares for. Amanda lives in Maplewood with her husband, Brendan and 3 children, Gabe, Elise and Trey, who were all born in the Mt. Sinai West Birthing Center. When she’s not working she enjoys hiking, traveling and sticking her feet in the ocean and can often be found cheering on her children on the sidelines of their various sports teams!